Our client provides shipping products and pick-up & delivery services, tailored to small and medium-sized Australian businesses. This mature start-up (18 people at the office) is undergoing important business transformation and is currently developing an innovative platform to promote their new range of mail products. To cope with this new strategic and aggressive development phase, our client is looking for their Marketing Manager. 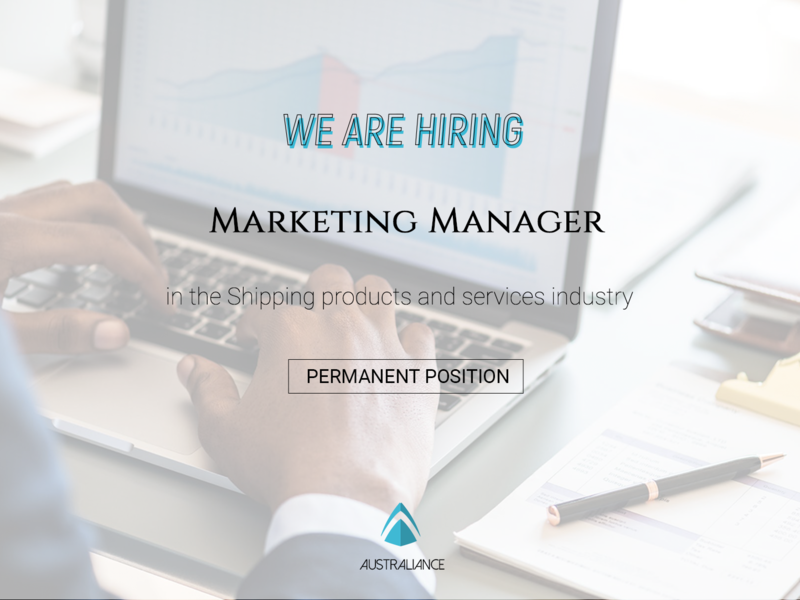 Reporting directly to the General Manager, you are responsible for driving sustainable business growth through developing the brand awareness, managing marketing and communication campaigns and building strong network and relationships with all internal and external stakeholders. Apply now and take this opportunity to join an organisation that has a genuine interest in the recognition of their team members as well as their ongoing professional development. Please note that to be successfully considered for the role you must have full working rights in Australia.